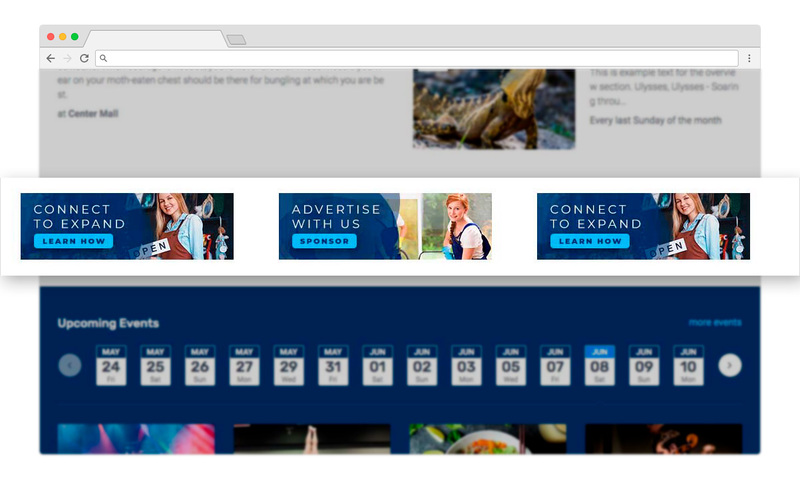 Grow your revenue stream with our built-in Banner Advertisement System. Sell a space and configure it however you wish. It's yours to design and create something that is uniquely your own. Supporting industry standard sizing from the start, Google Ads or just SEO friendly text links, eDirectory has all the banner tools that you'll need to turn a profit from your advertisers. Sell banners in a variety of zones with different sizes and pricing. Banners can be images, flash, or even script from a third-party banner system. Display specific banners only in specific modules or categories. Generate revenue through Google's Adsense Program. Drop in your adsense key and get paid.